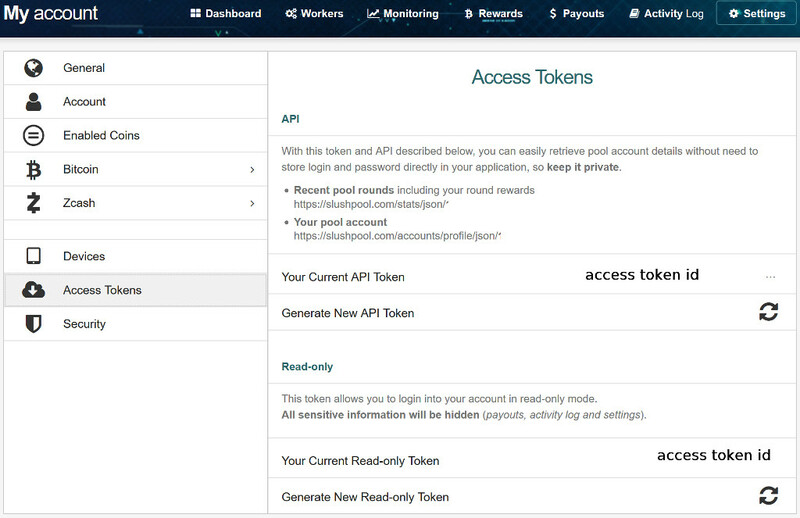 In order to obtain reward and miner details, MinerGain needs the your API token (the first section with a 40 character key length). If you do not have a key yet, click on the recycle arrows to generate a new key. Be aware that if you click this again in the future, MinerGain will no longer be able to gather your mining status until you update the settings.